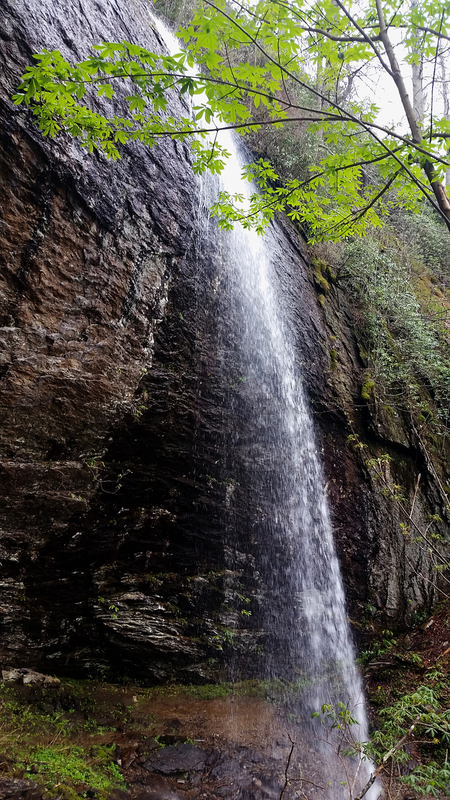 70-foot Douglas Falls lies in the Big Ivy Area of Pisgah National Forest, north of Asheville. 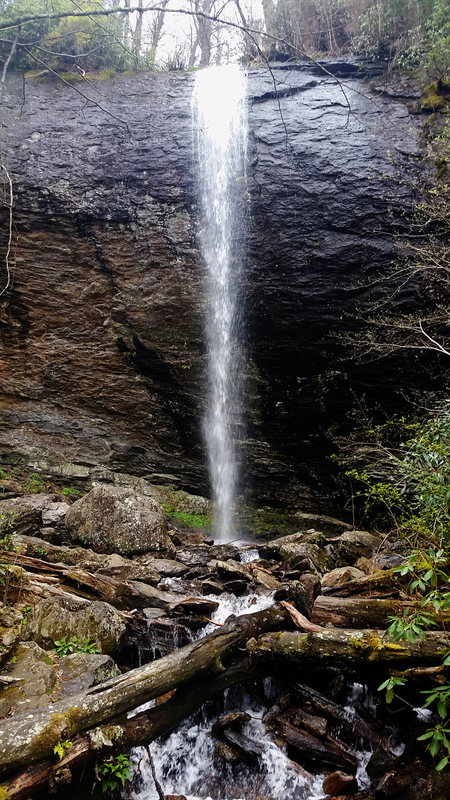 There are two trails to the falls; The shortest and easiest: Take 19/23 North (Future I-26 West) about 12 miles to exit 15. At the end of the exit ramp, turn right toward Barnardsville and drive NC Highway 197 about 6 miles. When you enter the tiny town, turn right on Dillingham Road past the fire station. Follow the paved Dillingham Road 5 miles. This road will end at Pisgah Forest (Big Ivy sign) and the unpaved FS74 begins. It’s 8.8 miles to the end and trailhead to Douglas Falls. The other way to reach the falls is from the Craggy Gardens Visitor Center on the Blue Ridge Parkway at Milepost 364.6. This is a 6.6-mile strenuous hike on a rugged trail that is only recommended for experienced hikers.